Cloudy skies this morning followed by thunderstorms during the afternoon. High 73F. Winds NNW at 5 to 10 mph. Chance of rain 80%.. Rain showers this evening with numerous thunderstorms developing overnight. Low 56F. Winds light and variable. Chance of rain 80%. FREDERICKTOWN -- Clarice P. “Dean” Thompson of Fredericktown, Missouri, passed away peacefully at Madison Medical Center on April 10, 2019. She was surrounded by her friends and loved ones. Dean was born January 30, 1942. She was married January 1, 1960, to the late Danny L. Thompson who preceded her in death two weeks prior on March 27, 2019. Also preceding her in death was her parents William Lester and Eithel (Miller) Skaggs. Dean is survived by her two sons, Mark (Kelly) Thompson of Desloge, Missouri, and Phil (Marilyn) Thompson of Fredericktown; two grandsons, Matthew (Nicole) Thompson of Indianapolis, Indiana, and Jordan Thompson and Amanda Coker of Desloge, Missouri; three great-grandchildren, Camden, Emma, and Max Thompson; three siblings, Bill Skaggs, Betty Deason Noonan, and Mildred Whitener. Many nieces and nephews also survive. Dean loved her family and her husband dearly. She loved traveling and watching her grandsons play basketball and baseball. Dean loved quilting and making crafts and scrapbooks; reading books from Billy Graham, Norman Vincent Deal, and poetry from Corey Tin Boom. Dean had many great friends and loved her church family. Funeral services were held Saturday, April 13, 2019, at Follis & Sons Funeral Home in Fredericktown, Missouri. Memorials may be made to Alzheimer’s/Dementia. DESLOGE -- Damon Cooke, of Desloge, passed away on April 8, 2019 at the age of 42. 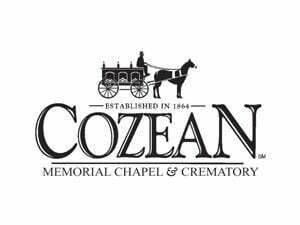 Private services will be held and are being handled by Cozean Memorial Chapel and Crematory. View the full obituary at cozeanfuneralhome.com. FARMINGTON --FARMINGTON - Dan Stott, of Farmington, passed away on April 6, 2019 at the age of 72. Instate Fri from 7am-9:30am at Cozean Memorial Chapel with 10am Mass to follow at St. Joseph Catholic Church. View the full obituary at cozeanfuneralhome.com. FARMINGTON -- Darrell Barker, of Farmington, passed away on April 7, 2019, at the age of 64. Instate Monday, April 15 from 9:30 a.m. until time of service at 11 a.m. at Cozean Memorial Chapel. View the full obituary at cozeanfuneralhome.com.